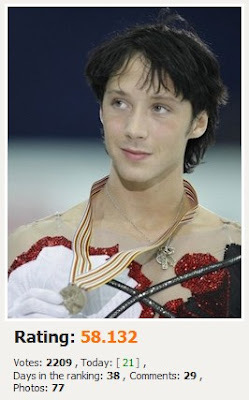 The Best of Binky's Johnny Weir Blog: "Let the World Shine in Peace"
As Russia becomes increasingly more dangerous for LGBT people, including foreign visitors, there is a growing outcry for other nations to boycott the 2014 Sochi Winter Olympics in protest. Harvey Fierstein surged to the forefront of this movement with his editorial in the New York Times. As a two-time Olympian hoping to qualify for his third Winter Games, Johnny offered his own equally passionate argument against a boycott yesterday in his weekly column for the Falls Church News-Press. His words have already been picked up by HuffPo, GLAAD, Queerty, Towle Road, Joe My God, Gay Star News, International Business Times, among others. NewNowNext notes, “He raises an incredibly valid point.” His column also hit his hometown area of Lancaster, PA, via The Herald Online. Johnny adds his voice to others who believe a boycott is not the answer, including Outsports editor Cyd Zeigler, University of Michigan coach Charley Sullivan, and You Can Play Project leader Patrick Burke. Today’s blog pairs some of Johnny’s quotes with stark black-and-white photos of him doing what he has spent most of his life doing: training, alone, for hours and hours, day in, day out; regardless of fatigue, pain, hunger; ever-persevering, like every other Olympic athlete around the world, all in hopes of achieving that brief, breathtaking moment on the world’s most revered sports stage. As always, please click any photo twice for full-size image. so that I could have a chance at my dreams. and see me skate for the world. of a lifetime of work. they represent the world entire. 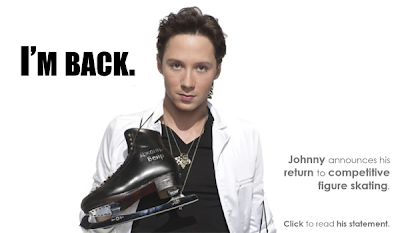 For additional context on Johnny’s views, please read his column from last week, in which he declares that he wants to go to Sochi and stand “strong for the oppressed community of beautiful people who I can call brothers.” See also his column from November 2012 detailing the frightening experience of his last trip to Russia. REMINDER: Happy Birthday to the Husbands! Please join us in our month-long fan project: Fans are contributing to the newly established Johnny & Victor Weir-Voronov Scholarship Fund for LGBTQ Youth, administered by the Delaware Valley Legacy Fund, throughout the month of July! The DVLF is the nonprofit organization who recently honored Johnny as their 2013 National Hero. 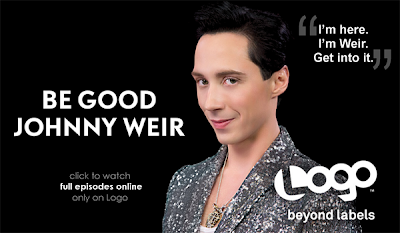 The Facebook fan group, Show Johnny Weir the Love, has also announced that for the month of July only, all proceeds from the Team Weir-Voronov fan store will be donated to the scholarship fund. So please treat yourself to some Team Weir-Voronov goodies and support Johnny and Victor in helping young people achieve their dreams! You also can leave a happy birthday message for the husbands throughout the month here!